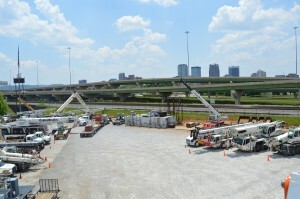 May 21, 2015 (Villa Rica, Ga.) – Industrial and heavy civil contracting firm Bay Ltd., and crane rental service provider CraneWorks were among the biggest supporters of CIC’s Southwest and Southeast Regional Crane Operator and Rigger Skills Competitions, held in Corpus Christi, Texas, and Birmingham, Ala., respectively. 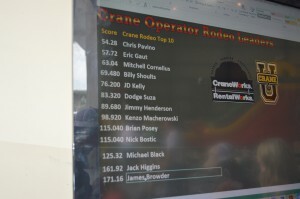 Crane Institute of America LLC (CIC) announces that two operators from each company will advance to the Championship for a chance at the $10,000 grand prize. 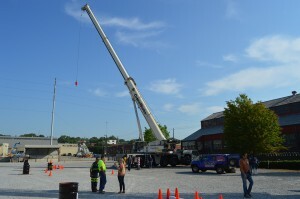 The competition is open to crane operators nationwide with a registration fee of $50. Additional details about upcoming qualifiers in Pennsylvania and Kentucky can be found at www.cicert.com/news/compete. 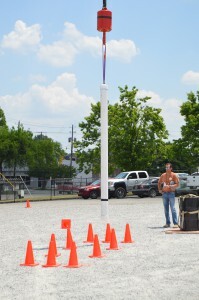 CIC, an independent certifying organization providing OSHA recognized and NCCA accredited mobile crane operator, rigger and signalperson certifications, created competition parameters and the course for the Regional and Championship competitions. Regional events feature three challenges for crane operators designed to assess precision and depth perception. In addition to operating skills, operators are required to test their knowledge of basic rigging principles, courtesy of Columbus McKinnon Corp., accounting for 20% of the overall score. 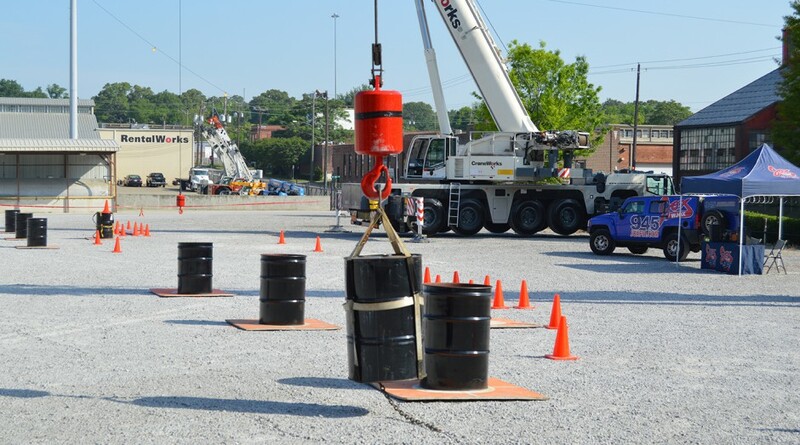 “Training and certification improve safety because it makes operators aware of what NOT to do,” said Jerry Lopez, President of Laguna Crane Services, Aransas Pass, Texas, and co-host of the Southwest Regional qualifier competition held on April 23, 2015. Seven of 14 operators at the Corpus Christi, Texas regional competition, including the top two qualifiers, work for Bay Ltd. The Southwest Regional was hosted by Laguna Crane Services and B-C Equipment Sales Inc., which provided the cranes for the competition. Placing first with a score of 46.52 was Jose Villanueva, a CIC-certified operator with about 12 years of experience. Villanueva is a returning Championship qualifier; he competed but didn’t place in the 2013 Championship at ConExpo-Con/Agg. This season, his score was among the lowest of all qualifying operators and is on par with numbers posted at previous Championship events. Rudy Cardona, a Supervisor for Bay Ltd., placed second. He has more than 30 years of experience. He advises all newer operators to put safety first on the job. 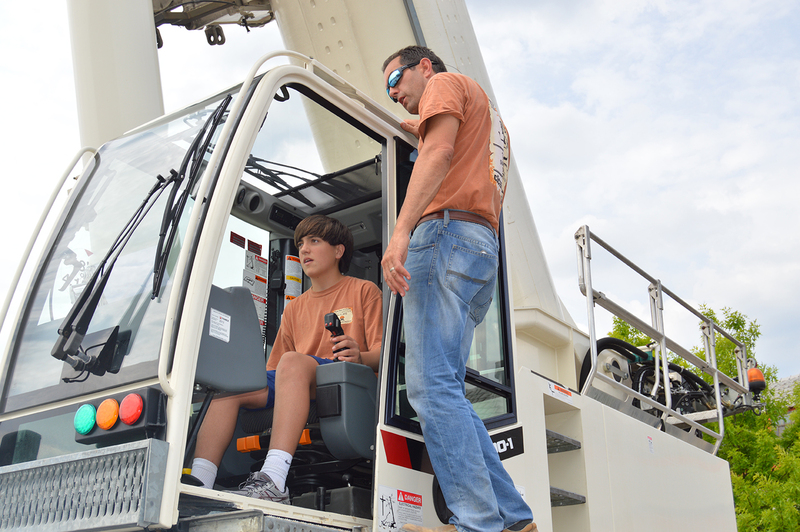 “A lot of the newer crane operators don’t have enough hands-on experience. Both operators took home cash prizes and sponsorships from Laguna and B-C to advance to the Championship. Villanueva and Cardona noted that today’s emphasis on training has had a significant impact on improving safety in the industry. “Compared to just 10 to 15 years ago, safety is stressed more, which is a great thing,” said Villanueva. Like many operators, he is asked to operate a variety of types of cranes, dictated by the needs of the job. He was drawn into the profession after spending time working in the oil fields. Bay Ltd., a Berry Company with corporate offices in Texas, Louisiana, and Montana, has a strong safety culture, achieving over 24 million safe man-hours over the course of the last three years. 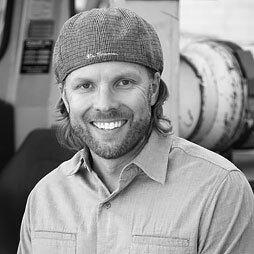 Jared Coleman, general manager for Bay Ltd., said: “These events are a great morale booster for our team and a great opportunity to put our highly skilled team to the test.” He believes operators need seat time and rigging experience, and the event is way to put Bay’s operators under pressure in a fun environment. “Learning from the ground up is the only way to gain real world experience,” he said. 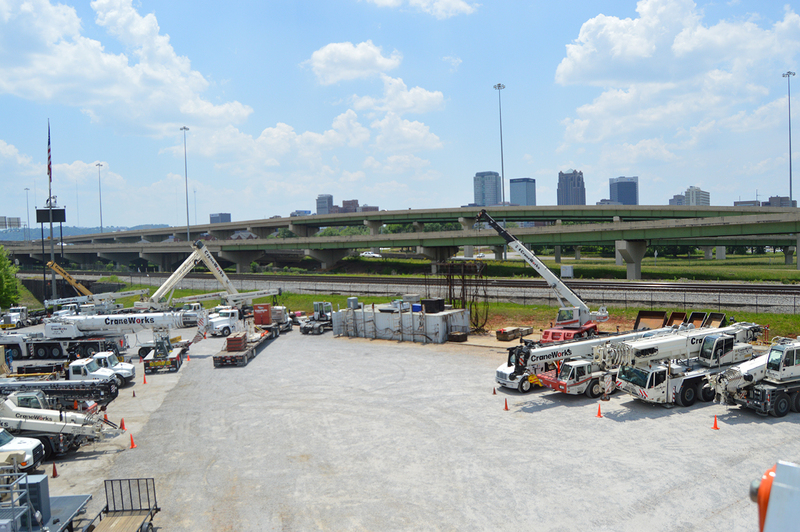 Five of the 16 operators competing at the Birmingham, Ala., regional competition , including the top two qualifiers, work for CraneWorks, which co-hosted the second Southeast Regional of the season with Crane U, a Birmingham-based training, inspection, and certification provider. Eric Gaut, project manager for CraneWorks, no longer operates cranes on a daily basis, yet scored just a few points behind Pavino. Gaut acknowledged that one of the difficulties of the job is ever-changing standards. “It’s hard to keep up these days with all the rules and regulations changing. It’s hard to remain compliant, I feel like there always some new standard my guys need to meet,” he said. “Operators don’t always get the respect that they deserve,” said Jerry Myers, general manager for CraneWorks. He added that the event helps to recognize the achievements of these skilled professionals. Other competitors represented mechanical contractors, general contractors, and steel erectors. Crane U and CraneWorks sent cash prizes home with 1st, 2nd, and 3rd place operators, and will sponsor Pavino and Gaut at the Championship competition. Hosts of both events took the opportunity to hold open houses and raise money for charities. One of the cranes used during the competition in Corpus Christi is B-C Equipment’s Link-Belt RTC8030, which is painted pink to raise awareness and funds for breast cancer prevention. Since its debut in 2011, B-C Equipment has donated more than $35,000 to the cause. 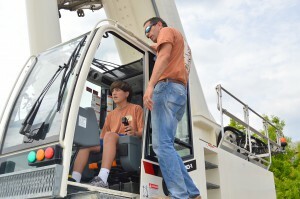 Also on display at the company’s open house, which brought more than 350 spectators, was an LBX 210×3 excavator nicknamed “The Gold Digger” for its efforts at “Digging for Cures for Childhood Cancer.” Since 2012, the machine has generated $15,000 for Brook’s Blossoming Hope for Childhood Cancer Foundation. Making its debut was a new excavator that will benefit Wish For Our Heroes, an organization that assists active duty military families in need. “Next year we will be celebrating 30 years in business. We are extremely thankful and humbled for that and we look forward to what God has in store for the years to come,” said Bill Lathrop Jr., owner of B-C Equipment Sales. Meanwhile, 132 motorcycle riders participated in CraneWorks’ annual Big Dog Poker Run, on the morning of the Birmingham competition, which benefits Go Build Alabama scholarships to graduating high school seniors who are pursuing a career in skilled trades. More than $5000 was raised this year.